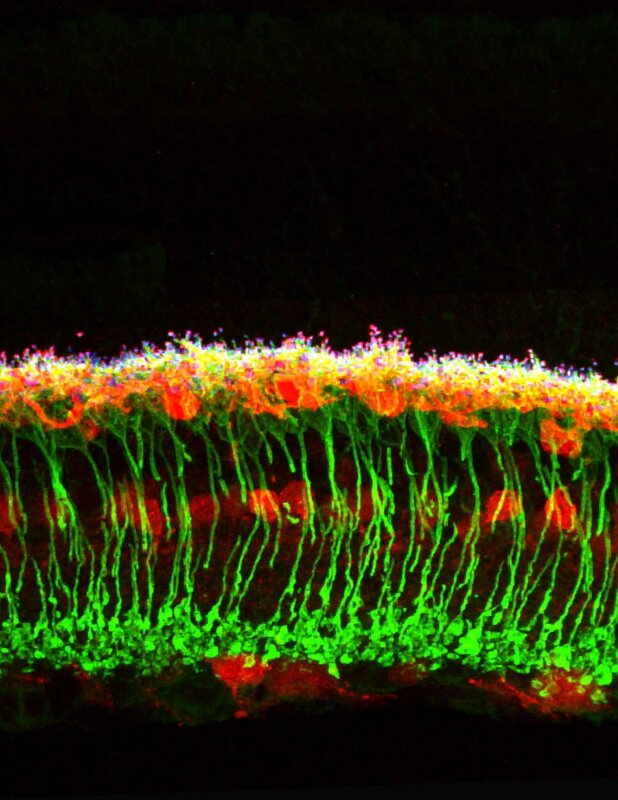 We are developing new approaches to visualize neural development and resiliency in vivo, resulting in some of the first high-resolution views into this process. These methods rely on 3D high-resolution stochastic optical reconstruction microscopy (STORM) and exchange points accumulation for imaging in nanoscale topography (PAINT) to achieve 3D reconstruction with 20-50nm resolution (i.e., beyond the diffraction). These methods can be multiplexed to enable simultaneous imaging of whole neurons, their synapses, and numerous molecules within neurons and their neighbors.